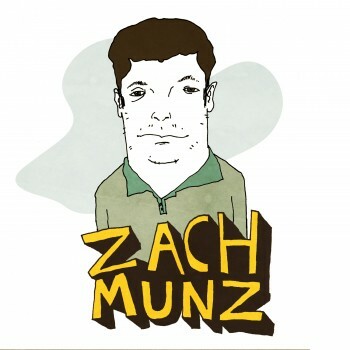 This month, we’re profiling Zach Munz, Yep Roc’s Digital Advertising Specialist. Zach’s job is to spend money to most effectively promote new Yep Roc releases online. Below, is a Spotify playlist Zach has curated to reflect his increasing in interest in new artists replicating old artists’ sounds. In the playlist, Zach says he “tried to make a connection between the new and old counterparts.” Enjoy! What’s your job title and what does your job entail? Digital Advertising Specialist. Basically whenever we release a record, Project Managers will come to me with a budget. It’s my job to decide how we can best use this budget (typically online, hence the digital) to help inform fans, push record sales, promote tours, etc. When did you know you wanted to work in the music business? I’ve been interested in music for a long time, playing, listening, going to shows, but I think it was in college when I first started listening to stuff that’s not on the radio everyday. I became interested in the art of “success” in the music industry. Listening to talented musicians that lacked the knowledge of how to be “successful” in the industry and wondering what they could do to change their own luck. I like to think there are people out there that haven’t heard their favorite band yet, it’s my job to make sure they do. What led you to work at Yep Roc? I had been doing the whole digital advertising thing for a while at a big agency working with small businesses mostly selling home goods and AV equipment. Being a Yep Roc fan, when I saw they were on the look out, I jumped on board. Now instead of trying to sell you on the latest 120W home speakers, I’m trying to get you to listen to the latest Yep Roc release on them. What do you most enjoy doing outside of work? Usually fiddling around with a guitar, playing golf, or craigslisting. I’ve spent a lot of time traveling lately, I have a hard time sitting still. I think the things I appreciate most are the performance and songwriting aspect. Lately I’ve been listening to a lot of roots rock, soul, and folk. I’m trying to branch out a bit though. Let me know if you have any suggestions. All Star – Smash Mouth. I was 8 or 9. I’m not ashamed. Gary Clark Jr. inside the Prague castle. There were a bunch of older folks in shirt and ties in the swankiest room I’ve ever been in. He shook the chandeliers with ‘When My Train Pulls In.’ Lets just say they weren’t expecting that. What’s your favorite Yep Roc release? Man, that’s a long list to choose from. Let’s go with “Jesus of Cool” by Nick Lowe. Jackie Greene “Trust Somebody.” We’ve been working on that release quite a bit around the office lately. What has been your favorite experience at Yep Roc so far? I’ve only been here for a couple months but getting to drink some brews with Jim White & The Packway Handle Band on the 3rd or 4th day of my employment was a pretty great introduction to the music business. I was like “man, is this what you guys do all the time? I could get used to this…” turns out we work pretty hard here too. If you could go on a road trip with any Yep Roc artist or band, who would it be and why? Dave Alvin and Phil Alvin. They’ve been doing it for a long time so they’re experts. They’d have plenty of stories and probably would bring a pretty good playlist too.